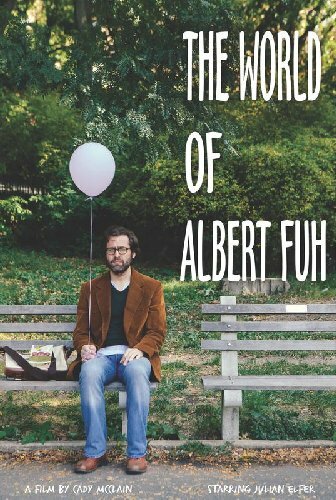 A youngish New York intellectual type finds a balloon in the park, takes it home and draws a face on it, and starts to bond with it maybe just a little too much in “The World of Albert Fuh”. This short film written and directed by Cady McClain employs no dialogue, but between the steady stream of jazzy pop songs and the visuals, Ms. McClain manages to convey all the information necessary to get her story across. Her direction is polished, and she just manages to pull off her concept in a way that’s cute without being cloying. 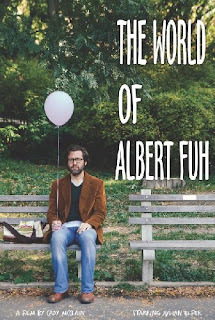 Nice job by lead actor Julian Elfer, too, who is pretty much doing a one man show here. Nothing mindblowing, perhaps, but it’s a pleasant enough way to kill 14 minutes. 2 ½ out of 4 stars.